"The best of the best. Period. I recently had the pleasure of hiring Michael Berg to handle a rather difficult case. Professional, prompt and thorough he is the best I have ever encountered." - Isabella M.
At The Law Offices of Michael Berg our criminal attorneys understand the seriousness of criminal charges. If you are facing a misdemeanor, felony or federal charge we will fight for your rights. San Diego Criminal Defense Attorney Michael Berg focuses his practice upon matters relating to Criminal defense and DUI defense allegations in San Diego, California, in state and federal courts. We provide the very finest in attorney representation If you're in need of an attorney who specializes in criminal defense DUI And Federal law or if you're interested in clearing your record, or expunging an arrest, you should not hesitate to consult with the best San Diego criminal defense lawyer Michael Berg as soon as possible. What Is A California Certified Specialist? California attorneys who are certified as specialists have taken and passed a written examination in their specialty field, demonstrated a high level of experience in the specialty field, fulfilled ongoing education requirements and been favorably evaluated by other attorneys and judges familiar with their work. Read More. Confronting a criminal law matter can be extremely stressful and unsettling. In most cases, time can be of the essence. The decision as to whether or not to hire an attorney, and which attorney to hire, can be one of the most important decisions you will ever have to make. Don’t let a wrong decision change your life. I have over 35 years of experience handling criminal cases and have the ability to aggressively defend you in any type of criminal proceeding. I have handled over 38 murder cases, some of which have garnered international attention, and I have the experience, skill and ability to successfully represent you. The main reason my criminal defense practice has become so successful is the personal attention I devote to each client. When someone hires me, I am the attorney who will personally handle his or her case. I am the one that will deal with the prosecutors and judges on behalf of each of my clients. I make sure that my clients understand each step of the legal process and I stand beside them the entire time. I believe it is not only my job to counsel each of my clients so that they understand the legal system, but it is also the way I have been practicing law my entire career. I grew up in South Dakota, the heartland of the Midwest, and was greatly influenced by my parents who taught me that a man’s reputation is built over a lifetime and can be destroyed in a split second. This has not only been the backbone of my life, but also the foundation of my criminal defense practice. My practice is built on honesty, ethics and integrity. I take great pride in the results I have achieved for my clients. My reputation as a criminal defense attorney is beyond reproach. I have worked diligently to build a stellar practice and strive to be sure each of my clients is completely satisfied with their representation. I would have it no other way. I have been known as a “lawyer’s lawyer,” due to the fact that many of my colleagues not only consult with me, but also refer their criminal defense matters to me to handle. I have represented not only other lawyers facing legal troubles, but I have also represented judges and the wives and children of judges in their criminal cases. I am hired based on the professional and competent way in which I handle the cases. By any objective measure, Michael S. Berg has reached the pinnacle of his profession. Recently named a “Super Lawyer” for the Tenth consecutive year in San Diego, Michael Berg’s courtroom skills and professional demeanor have garnered him the respect and admiration of clients, peers and judges throughout all of San Diego County. In order to be named a “Super Lawyer,” an attorney must go through a rigorous selection process. Lawyers nominate other lawyers, and then these individuals are evaluated by a separate panel consisting of the top attorneys within each practice area. The panel considers such factors as an attorney’s honors and awards, his or her experience, lectures and writings, education and employment background and any other outstanding achievements. In the end, only 5% of San Diego lawyers are selected for inclusion in the “Super Lawyers” list. Michael Berg is very proud to be among them. 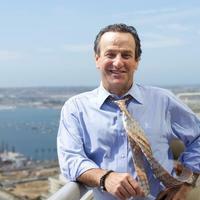 Read Attorney Michael S. Berg’s “Super Lawyers” profile page. Michael has also been named to Best Lawyer's in America. Michael Berg has successfully tried important and high profile criminal cases that have earned him praise not only from his clients, but the prosecutors as well. If you or a loved one is in need of legal representation, do not hesitate. Call Michael S. Berg immediately for a free legal and confidential consultation. Michael Berg handles criminal felonies and misdemeanors in San Diego County and courthouses in El Cajon, Chula Vista, Vista and downtown San Diego. Also, Federal cases in the Southern District of California and all types of juvenile proceedings.